Pure Devotion Frenchies has blossomed from our love for the French Bulldog breed. It all started with our two little girls Cosette and Brigitte who captured our hearts and amaze us every day. The love, beauty and personality found only in a Frenchie has become our passion to share with other loving homes. We offer limited, exceptionally bred litters to select households who will shower our little angels with loving pure devotion. We are a small breeder home located in Socal. We strive to produce high quality french bulldogs with the original AKC structure in various colors. Our style is thick bone, flat face and cobby. Quality before color with DNA Bonus and health tested parents. 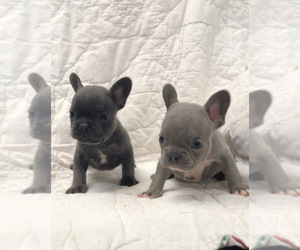 Looking for a reputable French Bulldog breeder in your area? 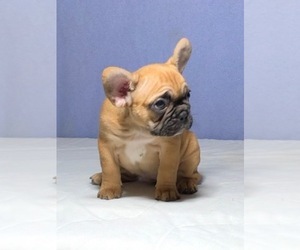 Simply browse through our nationwide directory of 1000s reputable French Bulldog breeders - complete with website addresses, dog breed profiles, and current puppies for sale.